Диснеевские принцессы COUNTDOWN ! Which Princess are Ты the LEAST similar to? (in goals, personality, values, qualities, etc) Please Комментарий as to why! Her and Belle. I don't want my own way, if it consists of cursing someone else to do it. And I don't want to remain with my family forever. I wish to leave and have my own life. To me, Merida and Peter Pan share a lot of similarities. They don't want grown-up responsibilities, and they don't want to prove themselves. They just want to remain in the same bubble of comfort, i.e., they won't ever leave their comfort zone. Also, Belle, because literally me trying to relate to her is like me trying to relate to a wall. And I feel like Belle put up that wall, not me. At this point it gets tougher. It's either Pocahontas, Mulan, or Belle. 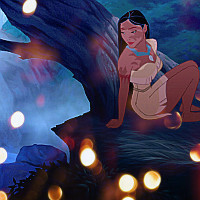 Pocahontas- I relate to her a lot at the beginning, where she is confused and directionless about where to go in life. We are also both "into" nature, but I guess I am a more modern version-- I am cruelty free (meaning I do not use or buy any products tested on animals) and I relate to her indecisiveness as well. Where I don't relate is HOW indecisive she is-- for example, my (now ex) boyfriend and my best friend despised each other. I tried to make them get along, but I was NOT passive about it as Pocahontas was. I basically told them they both better grow up and get rid of their egos. I am also not as athletic or obsessed with nature as she is. Belle-- Well, I used to read a lot but not so much anymore, I do tend to think of myself as a more unique person compared to others and also feel like i am odd or disliked for being the way that I am, as Belle does. Where there is a HUGE disconnect is how she acts in the castle. I would likely be terrified and would not have entered the West Wing, and if there was a big Beast banging down my door I would have joined him for dinner. But I also would have tried to escape ASAP and I don't relate to taking care of my parents or putting duty before personal needs. I do relate to Belle clinging to her personal morals and values no matter what. Mulan- Yeah, I'll go with Mulan. I'm struggling to see how I relate to her, besides being strong and tough and also using my wit. I don't have this need to prove anything to my parents or be obedient to make my family happy, I sort of relate with Reflection but I'm not as outwardly morose/mopey about it and I find myself much sillier. I also speak up more often. And I doubt I would have disguised myself to join the army. She's a bit to passive (verbally) for me. And I'm not really good with athletics. I admire Mulan, but yes, I'll go with her. Incidentally these are also my top 6 princesses. I think I may rank princesses according to how relatable/realistic they are in general. @wavesurf--- why did you change your vote? You've been picking Belle the last few rounds. ^I still can go back to her? But I don't really relate to either of them. ^you can do whatever you want, I was just curious. ^Ah. Ok. I wasn't trying to confuse people. Ariel again. While there are some big differences between me and Merida( for example, I am not athletic at all), she is still more similiar to me than Ariel. Firstly, Merida doesn't proriotize romance. Secondly, Merida is at least close to her father, while Ariel isn't very close to her father or sisters and I guess she have never been too close with her late mother either, she dealed with the loss much easier than I would( I don't want to say it's bad but it makes Ariel very different from me, just like Snow White's optimism, Belle's forgivingness or Rapunzel's ability to make friends). We are both impulsive and stubborn but that's all. I'm stubborn enough like her but that's all. I personally can't stand her motive to against her father just for a random cute guy. She already has good life, but she is just ungrateful enough for it. I never want to sacrifice anything for a random guy that I even hardly know xD. She's the type of irrensponsible, disrespectful, reckless, and never think the consequences of her actions, meanwhile I'm the opposite of her, I tend to think any consequences of my decision. We are almost a total opposite. I can't believe Ariel and Merida are winning. I actually find them to be the most realistic, relatable and flawed characters. Same as before. I guess I'll be picking Belle for awhile but I don't mind because it's too hard to choose between the other princesses lmao. Hardly any flaws and all virtues. She is so pretty, so smart, so brave, so kind, so selfless, etc. and I'm none of those things. I'm much more flawed than Belle. I don't even relate to her "outcast-ness". 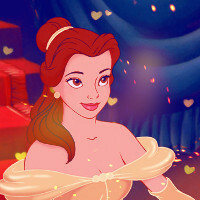 Belle's an "outcast" because she's prettier and smarter than everyone else. I relate more to Elsa's or Mulan's outcast-ness because it's related to their actual flaws. The only thing we really share is our love for fantasy and dreaminess. I don't even read books. ^Sure, they are flawed. But I guess it's not enough to make the character relatable. Because people are flawed in different ways. Yes, Ariel and me are both stubborn( and this is the reason I didn't pick her in first two rounds). What wavesurf mentioned about Merida and Peter Pan is true about me. I don't want grown-up responsibilities, I am childish and attached to my elders, I am not adaptable. I also metioned that I wouldn't deal with loss of my mother as easily as Ariel did. 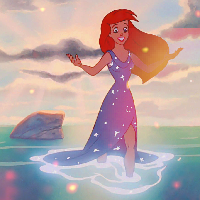 Sure, all of this makes me flawed person but not similiar to Ariel. Also I am very slothful person who cutted gym at both school and university and lies on the sofa a lot. 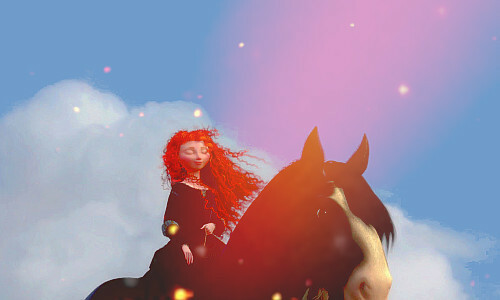 It's a flaw too but I don't think it makes me similiar to Merida. @disnerdtobe- I do consider merida and ariel the most realistic princesses but that doesn't mean others' find themselves personally similar. I know, I was mostly referring to myself there. I'm just surprised that Merida and Ariel (especially) are leaving early, but not necessarily for that same reason as me. ^I see what you mean. Me too. I'm surprised so many people consider themselves similar to Belle and Mulan. Murdering your mother is going too far. @disnertrobe, Merida is my #5 in my most relatable DP list. It's the highest of all Non-Renessaince DPs. Ariel... Yes, she is my #8-9. But I think that Ariel won't leave in the next round, I think that Mulan will. 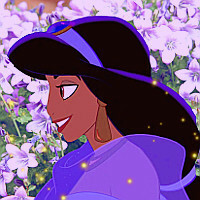 @princesslullaby, considering themselves similar to Mulan and Belle doesn't mean considering themselves extremely virtuous( Jasmine is my #1 and she is often criticized for being bitchy and so do I). My attachment to my elders is what makes me similar with Belle and Mulan but different from Ariel. And it is considered as weakness. 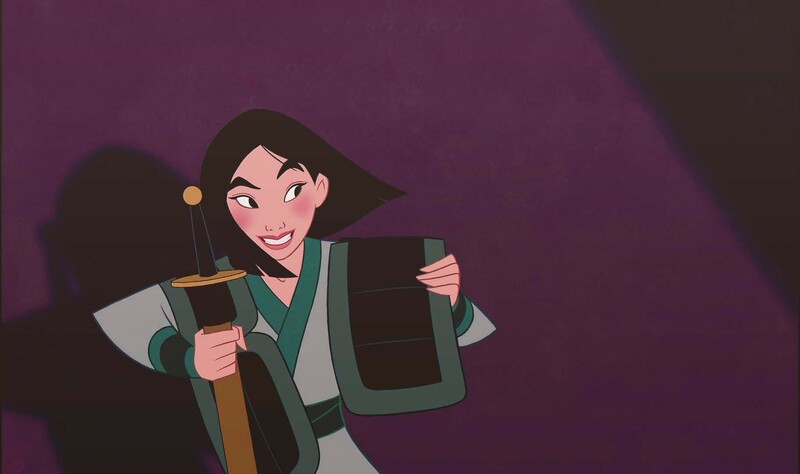 I guess not in Belle's case but in Mulan's... Mulan seems to be overprotective of Fa Zhou and she wouldn't deal with potential loss of him much less easily than average person, I have an impression that Fa Zhou's death is her phobia and people think it's not OK. It's true about me too I guess. I'm coming to the conclusion that I'm not very similar to the rest of fanpop lol. I'm more of a Cinderella/Rapunzel/Tiana mix, with a dash of Pocahontas and Mulan added. Completely different life situation to Jasmine, very different personality, but I do share some of her values. That's really it.